There is no formal weekly homework. The children will be given a homework overview every term. This overview has example activities that your child may wish to do. Blackwell has a new spelling program, 'Words Their Way'. This program is based on word study for phonics, vocabulary and spelling. It helps students learn about the sounds, structure and meanings of words. Children will start to bring home 'word sorts' to practise. As the program caters for individual needs, there are many lists operating at the same time in each class. If students reach the Home Reading Target they will receive a special certificate and their name will appear in the POST. PLUS a bonus 50 000 points for their house. Your child has a designated library time each week. Please encourage your child to borrow from our extensive library at this time. 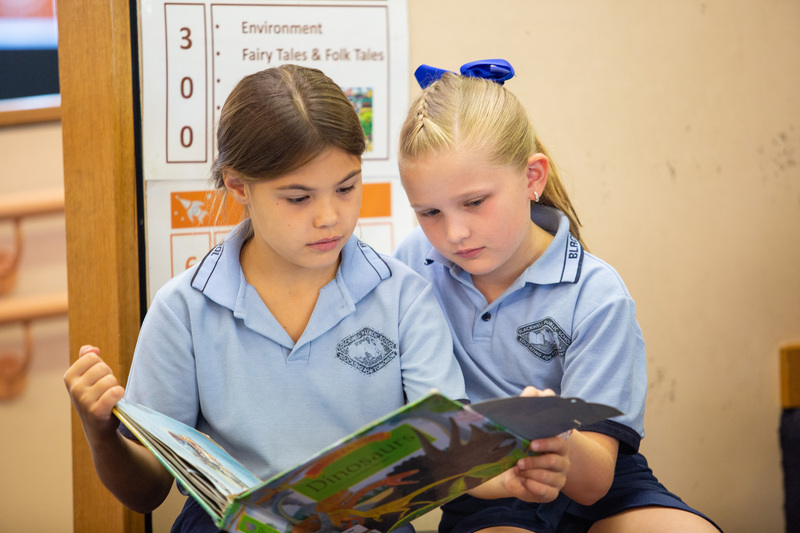 These books can be used in the classroom, at home and may contribute to the Premier's Reading Challenge, which your child can log through our links page. A note outlining Speaking & Listening (Let’s Talk homework) for the term has been sent home. They will prepare one speech at home and one at school. Please encourage your child to be prepared for their presentation. The student's also have the opportunity to access World Book online. This is an incredible resource for students to utilise. The username is blackwell and the password is blackwell. This can also be accessed through our links page.